2 links pointing to Belleaireholidaychalets.co.uk were found. The most important links to the website are from Hemsby-holiday-chalets.co.uk and Bermudaholidaypark.co.uk. 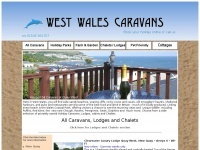 The homepage of Belleaireholidaychalets.co.uk and the subsite are most referenced by other websites. The table shows the most important links to Belleaireholidaychalets.co.uk. The table is sorted in descending order by importance. The table shows websites of Belleaireholidaychalets.co.uk, which are often linked by other websites and therefore they are classified as important content. Bermudaholidaypark.co.uk - Hemsby holi­day cha­lets Qua­lity cha­let holi­days in ..
Caravansnewforest.co.uk - HOME/Cara­van hire Bashley. 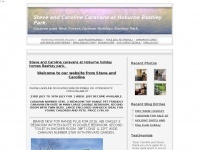 - Ste­ve and Caroli­ne ..
Bodillymanor.co.uk - Holi­day Cot­ta­ges in Cornwall (near Helston) - dogs and ..